Press conference and roundtable discussion, Montréal, Québec, Canada. 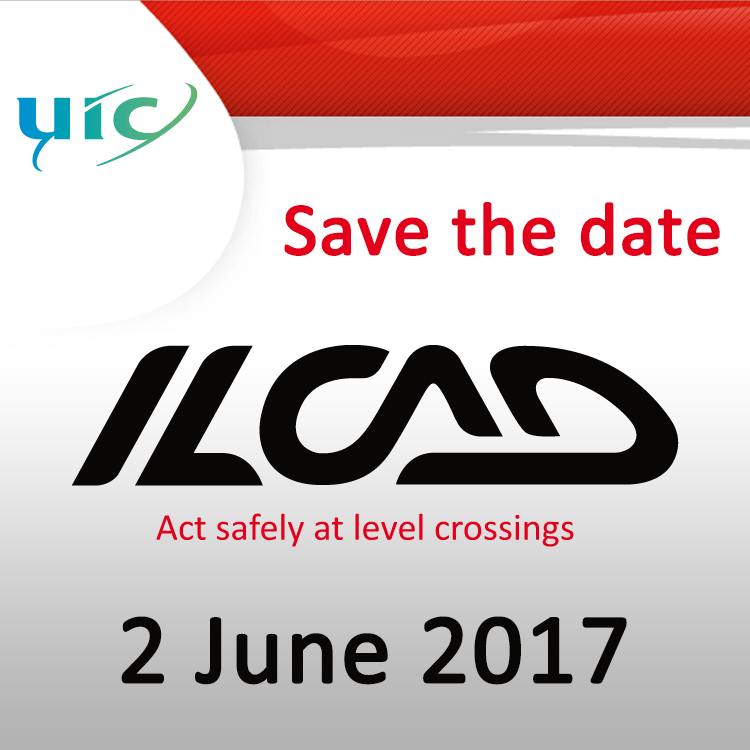 The Railway Association of Canada (RAC) and the International Union of Railways (UIC), are pleased to be co-hosting the 9th International Level Crossing Awareness Day (ILCAD) on June 2, 2017, in Montreal, Canada. This conference attracts railway industry representatives, road authorities, academics, and many others from around the world who are working to raise awareness about the dangers surrounding level crossings. It launches the annual worldwide level crossing safety campaign. In 2016 UIC was proud to bring together over 40 countries to participate in this global event, either by relaying it on their websites or on social media, or by organising a range of activities around ILCAD day. 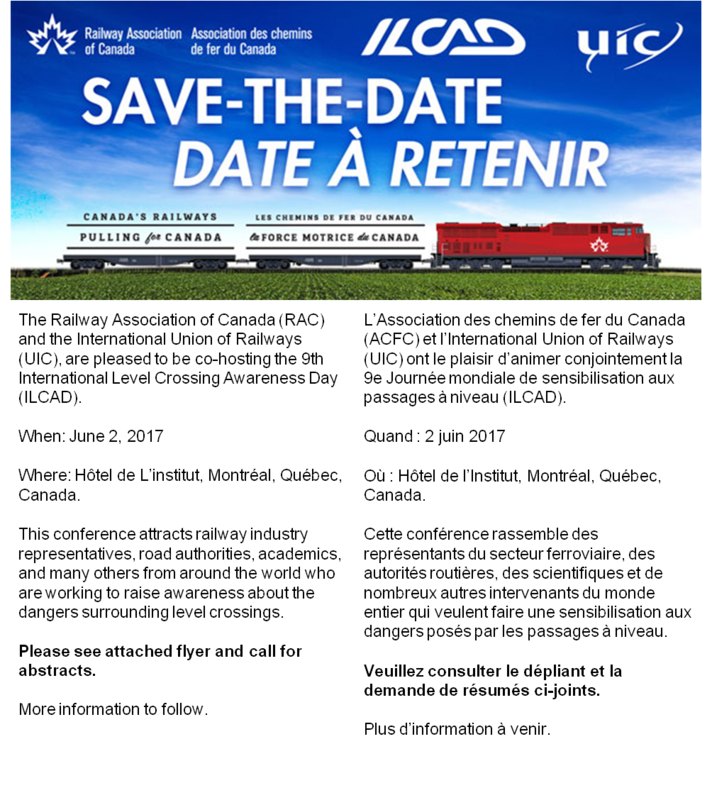 Your organisation/company wishes to participate actively in ILCAD in your country, contact Isabelle Fonverne.